Baue Funeral Homes was among an exclusive group of funeral service professionals participating in the 99th Annual Meeting of Selected Independent Funeral Homes in Chicago, IL, September 10 – 13. During the annual meeting, 3rd Generation CEO, Lisa Baue was installed as the 2017-2018 Secretary/Treasurer of Selected. Lisa is very compassionate about giving back to the community she serves. Over the years, she has served on numerous community boards and has been active in organizations such as the St. Charles Rotary, St. Charles County Salvation Army Council and the St. Charles County EDC Business & Community Partners. 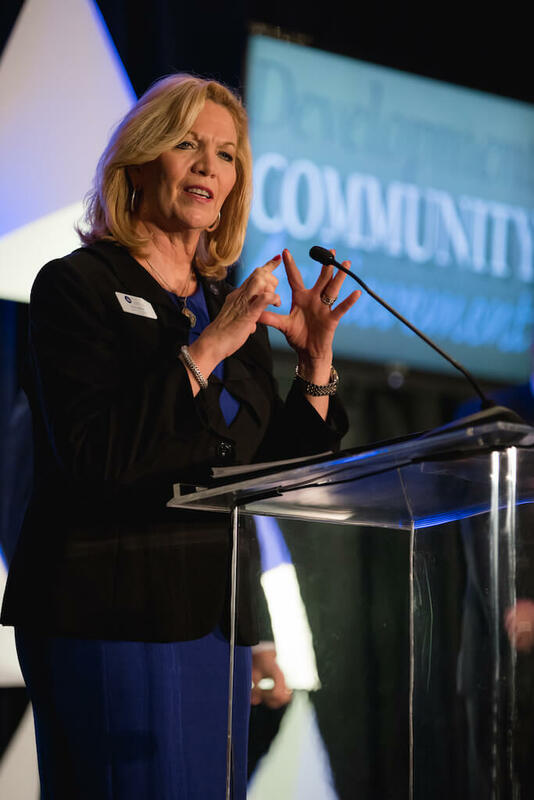 In 2017, she was named as one of the top 50 women in St. Louis for her work as an entrepreneur; Lisa also received the St. Charles County Volunteer of the Year award. Since 1941, Baue is one of few firms in the Region to be invited as a member of Selected Independent Funeral Homes. Founded in 1917, the worldwide private association is made up of locally-owned and operated funeral homes whose common interest is to continuously improve their services for families. Both Lisa’s father and grandfather served in the 1950’s and 1960’s on the Selected Board. Lisa is the 3rd Generation owner of Baue. Established in 1935 by her grandfather, Lisa has grown her company from one funeral home to four funeral home locations and St. Charles Memorial Gardens Cemetery. All Baue locations offer a wide range of unique services for families, including Baue Pet Services, Center for Hope & Healing, Silver & Gold (the County’s largest senior club), and most recently the fourth funeral home, the Baue Care & Cremation Center.